The combination of the ROMER Absolute Arm with QUINDOS measurement software is a new leader in user-friendly gear measurement. 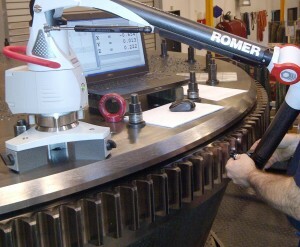 With the new ROMER Gear Measurement System, Hexagon Metrology has created a new portable 3D gear measurement solution. The ROMER Absolute Arm is combined with QUINDOS, the leading software for the analysis of special geometries, in order to measure complex parts usually inspected on complex metrology devices. This solution is capable of measuring internal and external gears of cylindrical, straight or helical shape – also with unknown parameters. The ROMER Absolute Arm is a portable CMM with industry-proven mobility, stability, low weight and performance. Its measurement volume from 1.5 up to 4.5 metres makes it possible to measure even large gears without the logistical difficulty of having to move them.With QUINDOS, Hexagon Metrology offers an analysis tool for different types of coordinate measuring machines. The database structure of the software contains all measurement data, making it available for further processing and reporting later. A host of special functions improves the efficiency of measuring processes. Furthermore, QUINDOS is certified by the German national metrology institute PTB.For gear measurement tasks, the QUINDOS Unknown Gear package makes it possible to calculate all relevant gear parameters by measuring only one single gear tooth. This is especially useful for the re-manufacturing of broken gears. 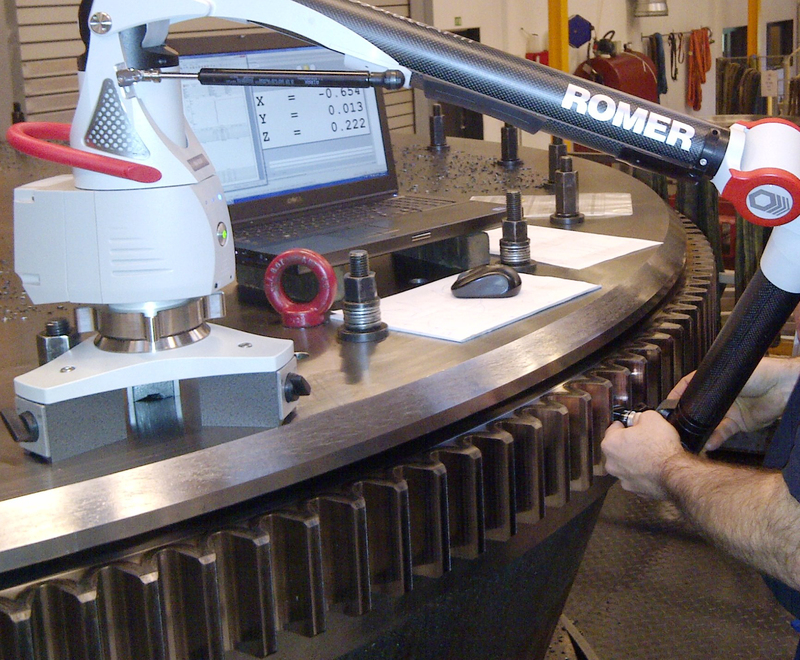 Hexagon Metrology presents the ROMER Gear Measurement Solution for the first time at Control – the international trade fair for quality assurance – in Stuttgart from May 14th to 17th, 2013 on booth 5302/hall 5.